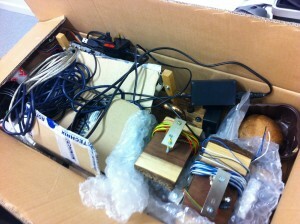 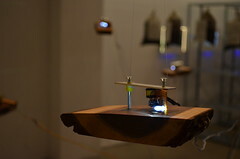 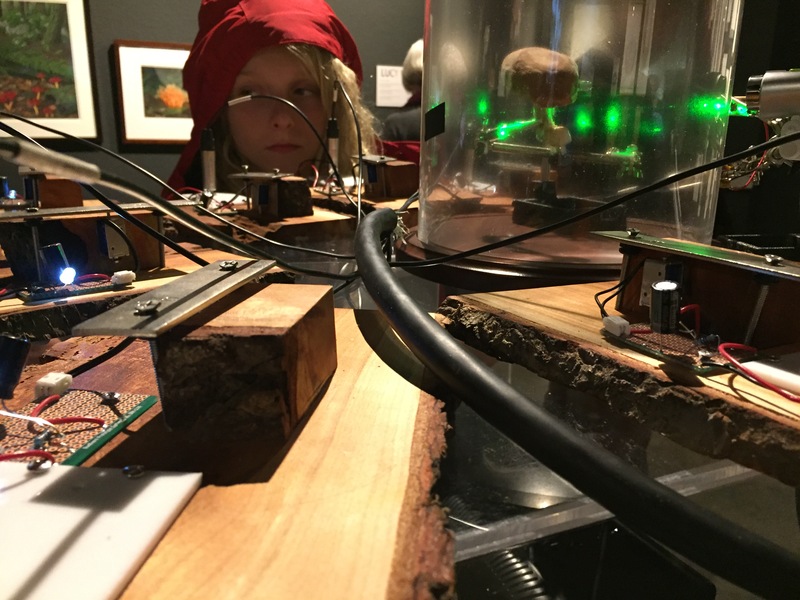 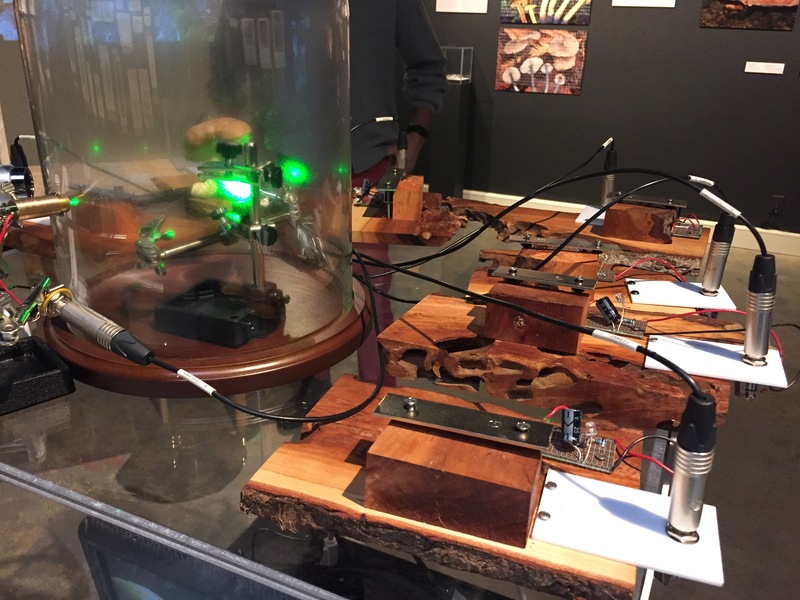 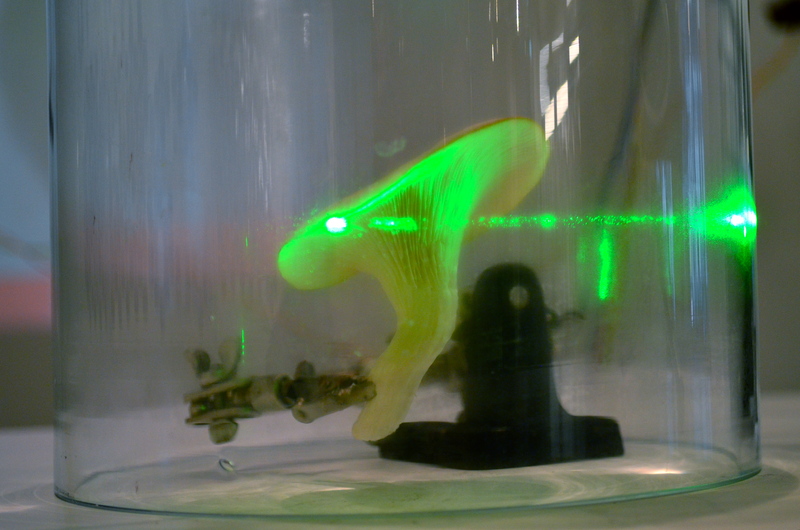 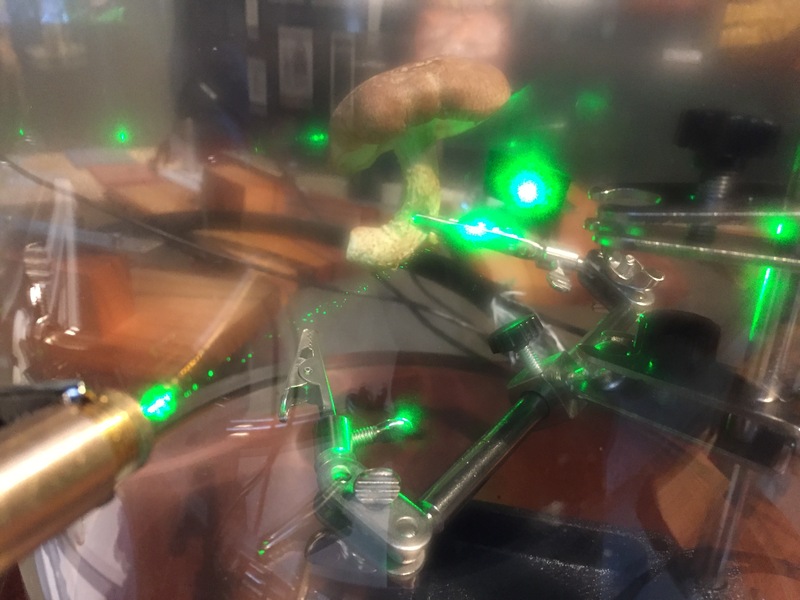 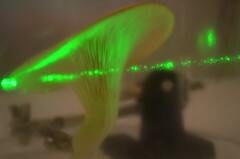 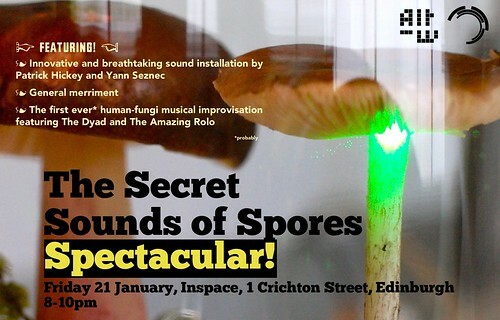 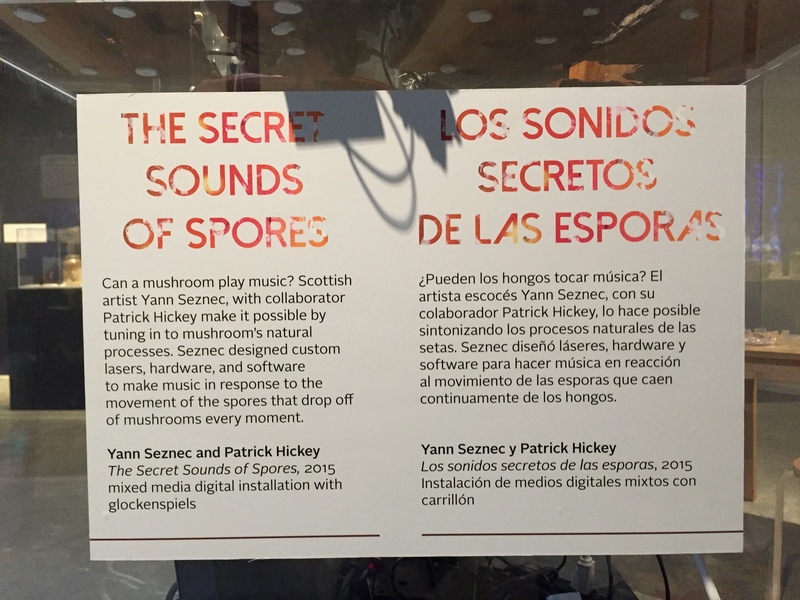 Here’s a video from the “Secret Sounds of Spores Spectacular!” event that took place at Inspace here in Edinburgh last month. 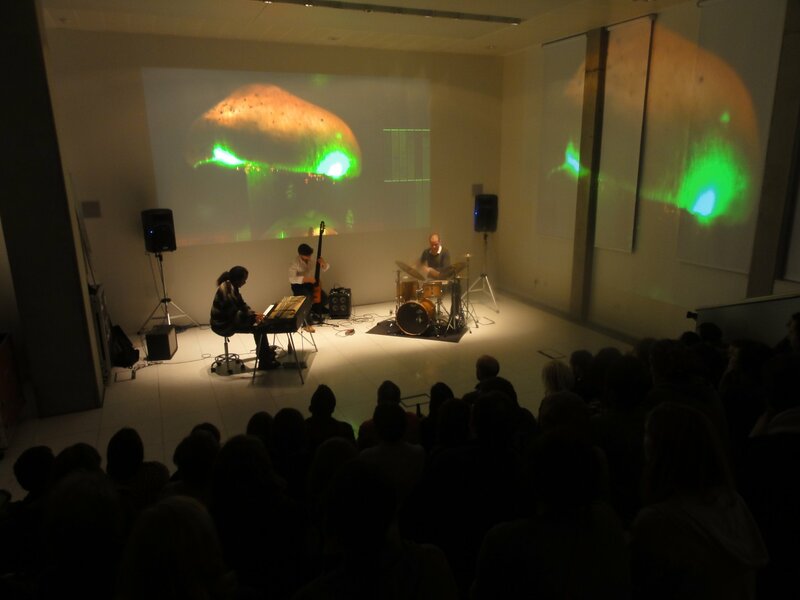 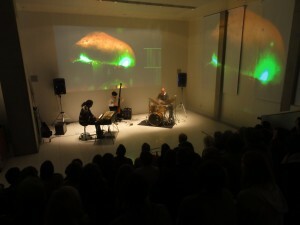 It was a fantastic night, with The Dyad playing some crazy free jazz improvisations in response to the mushroom’s spore-dropping-music. 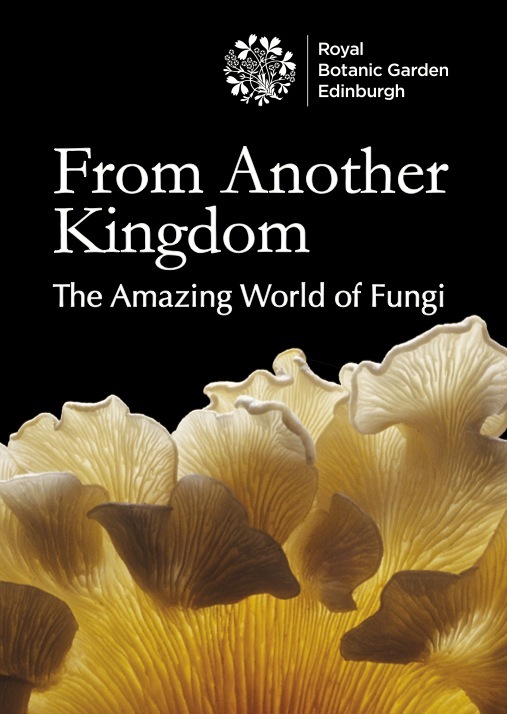 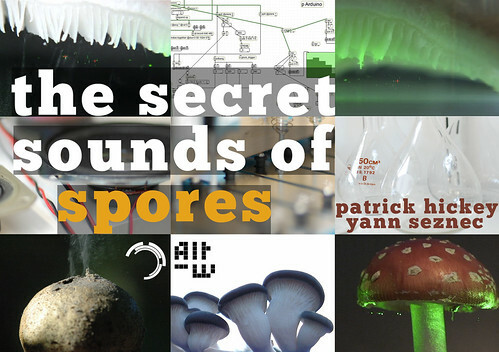 I’ve included some explanation in the video, but if you’d like more information you can always visit the Secret Sounds of Spores page, which has loads of making-of videos and other information. 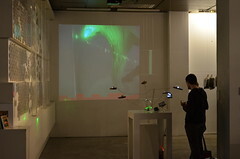 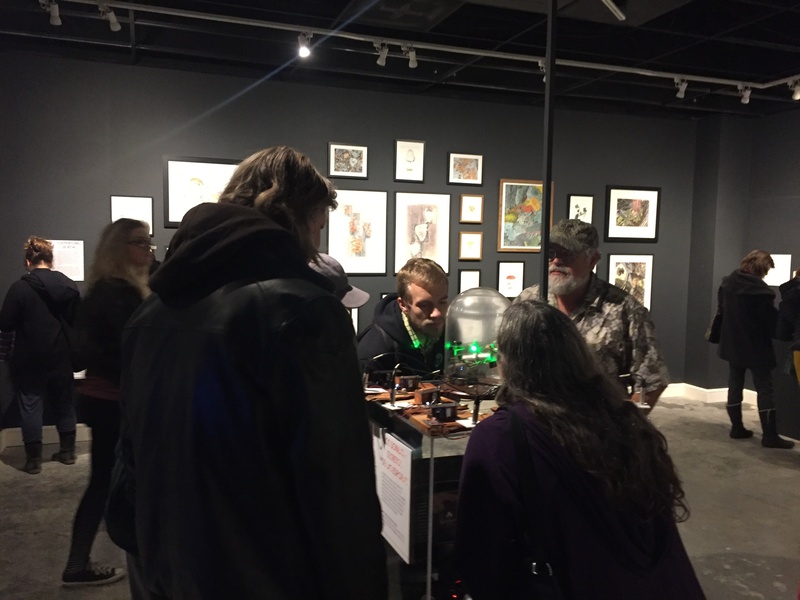 Thanks again to everyone who came and made it such a brilliant event, and of course a special thanks to The Dyad and to New Media Scotland for making it happen.